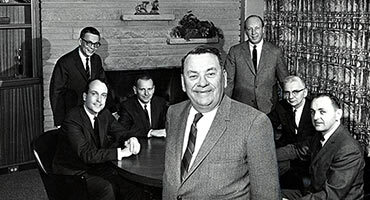 Weber Addressing machine Company founded by Joseph Weber, Sr. First handprinter, the Tag-O-Graph, is introduced for directly marking on cartons. 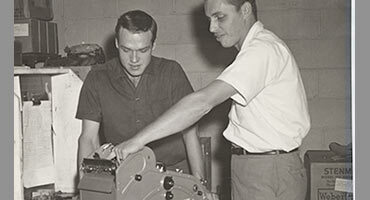 Weber’s Address Machine enables direct, mechanical printing on envelopes; also moved from Chicago to suburban Mt. Prospect and the company changed its name to Weber Marking Systems. First electro-mechanical in-plant label printing machine is introduced to enable companies to print their own product identification and address labels. Introduction of the Tab-On concept, a stencil affixed to a shipping form enabling a label to be prepared as a by-product of the form; also moved to a larger facility in Mt. Prospect. Joseph Weber, Jr. joins company on a full-time basis after practicing law as an assistant State's Attorney and serving as Weber's Corporate Secretary and legal counsel. Moved from Mt. 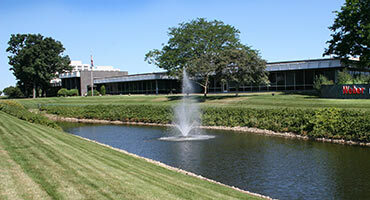 Prospect to a brand new facility in nearby Arlington Heights. 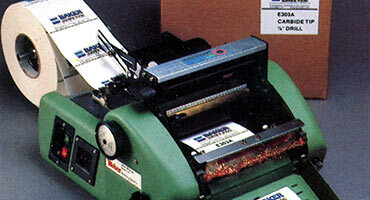 First thermal printing system for reproducing text and graphics from a stencil is introduced. Weber opens a 45,000-square-foot facility in the United Kingdom. Introduction of labels pre-printed with company logos and graphics; variable data could then be added with a Weber electro-mechanical printer. Weber’s Legitronic® labeling system is introduced, marking the first time computer technology was applied to on-site label printing. Legitronic® system is enhanced to include PC-based memory and software innovations that allowed bar code formats and advanced graphics. Introduction of the first thermal-transfer label printer, which provided higher-quality bar codes, text and graphic images to be printed on a wide range of label stocks. 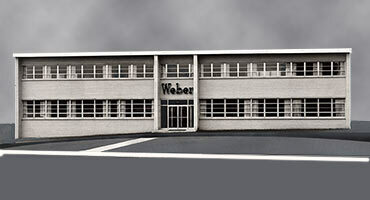 Weber opens a 22,000-square-foot manufacturing plant in Ontario, Canada. Joseph Weber, Jr. is appointed Chairman & CEO. Added improved label press capabilities in the forms of UV flexo and UV screen functions; opened manufacturing facility in Bangkok, Thailand. 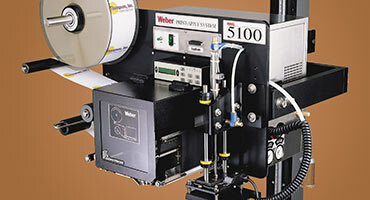 Debut of the first Weber-manufactured label printer-applicator. 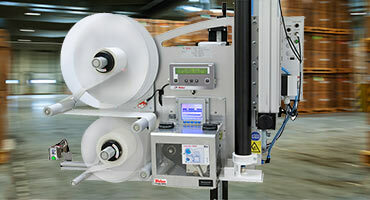 Weber introduces their first generation of print-apply labeling systems. 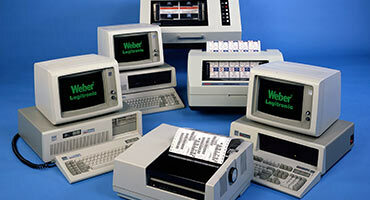 Weber installs Oracle Business Systems software. Debut of Weber’s own RFID smart label manufacturing capabilities. 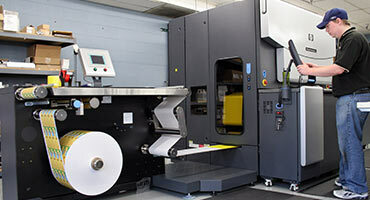 Weber enhances its label printing capabilities with the HP Indigo digital label press for high-quality, short-run flexibility. 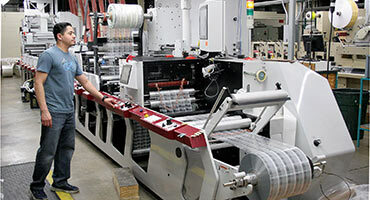 Weber adds seven additional flexographic label presses to the Arlington Heights facility. Corporate name is changed to Weber Packaging Solutions, Inc. to better define the company's product line and to clarify the on-going direction of the company. Weber introduces its Model 4300 Pro-Apply, an economical line of printer-applicator. Weber installs their first Mark-Andy P7 label press which handles the most complex print applications.